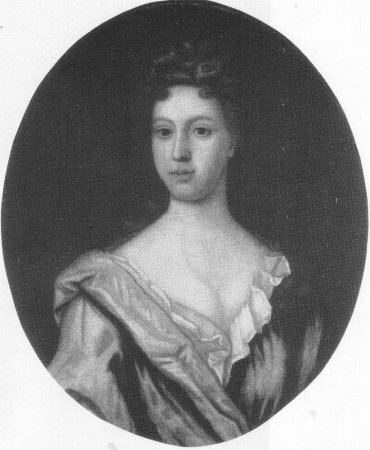 A Portrait of Honor (1712-1771), wife of Philip Gell of the Gatehouse, daughter of Isaac Borough. Oil on canvas, in a half painted oval, 28.5 by 23.5 inches. In the style of the English School, 18th Century. The sitter was a daughter of the Recorder at Derby.